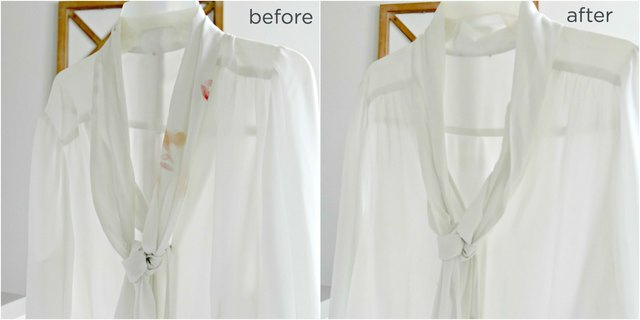 Makeup stains are one of the most common fabric stains, and can be difficult to remove...or so you may think! 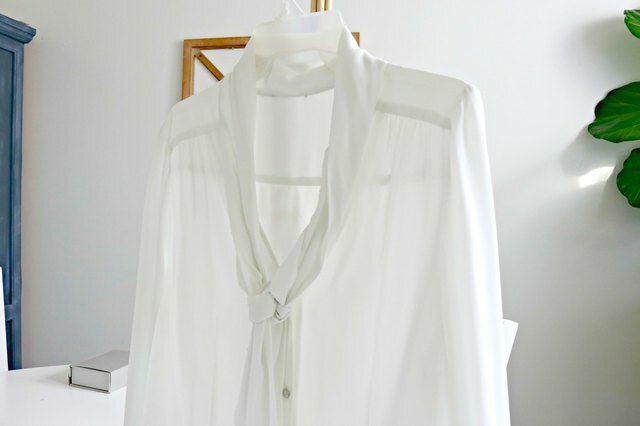 The truth is, there is a super easy secret to removing makeup stains from clothing, and you won't believe what it is. You probably even have the secret ingredient in your bathroom! Step 1: Add shaving cream to the makeup stain. Step 2: Work shaving cream into stain using a wet toothbrush. 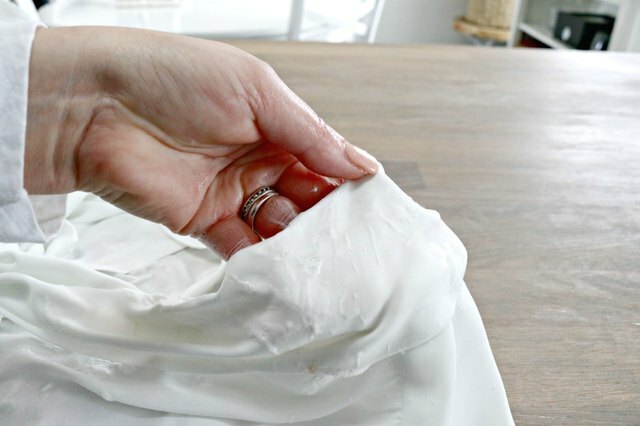 Use cold water only to keep the stain from setting in. Step 3: Scrub gently until the stain disappears! 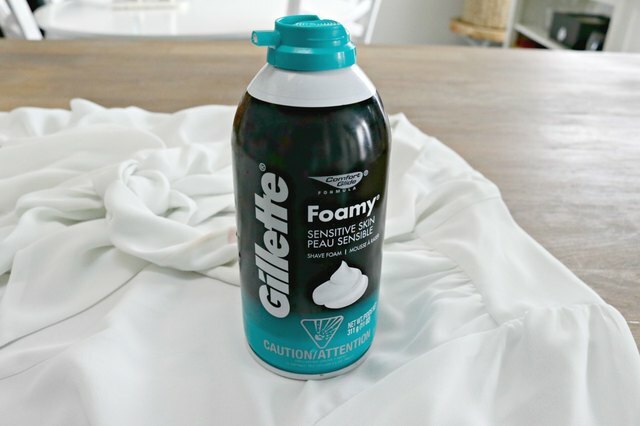 Shaving cream literally makes the stain go away. (It even works on tough carpet stains.) It is an amazing stain remover, and is really gentle too! Step 4: Wash and dry according to care instructions.